From the Khazneh, the pathway broadens into what is called the "Outer Siq," lined with large tombs carved into the rocks whose façades show different degrees of erosion undergone by the sandstone architecture. 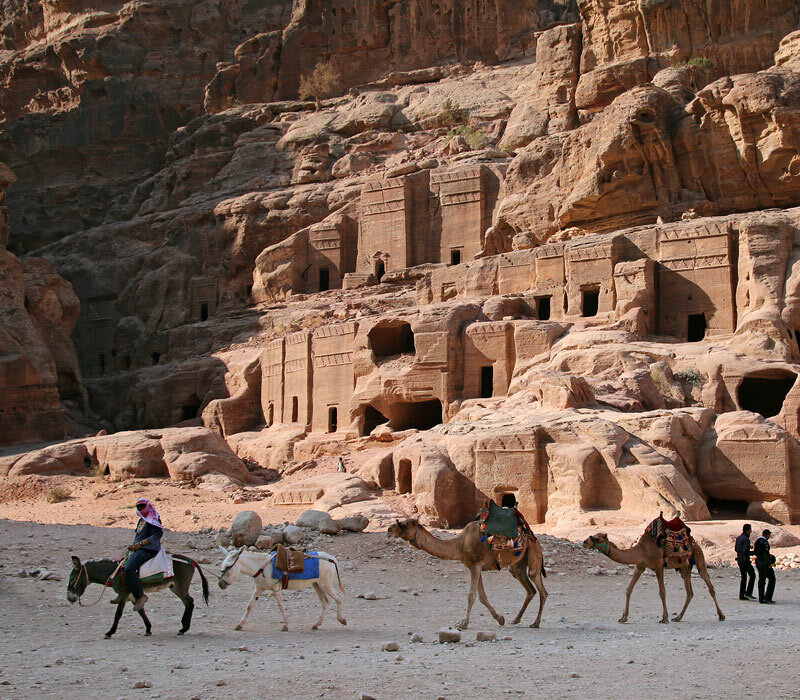 The area dubbed "Street of Façades" is a cliff face with a cluster of tombs nicely arranged in ascending rows, with crow-stepped attics and simple rectangular entrances. 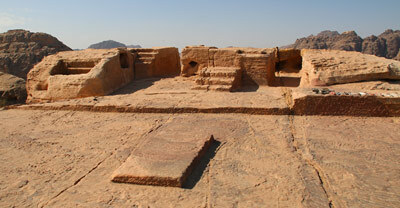 It is also called Theater Necropolis, and some experts consider it to be the oldest burial ground in Petra. 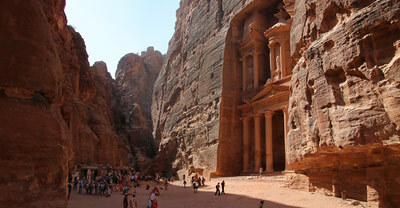 Further ahead is Petra's spectacular Theater. Though Greco-Roman in design, it was built by the Nabataeans, probably in the 1st century AD during the reign of Aretas IV and was later enlarged by the Romans. The striking feature is that it was hewn directly from the rock in one piece, and has a capacity to seat 8,500 people.